It’s difficult to go anywhere in Niagara without seeing a sign recognizing their contributions. The owners of these three companies have sat on boards, volunteered their time and donated millions to a variety of hospitals, schools and other charities. They don’t do it for recognition – to get their name on a building or to be honoured at a ribbon cutting. When you talk to them it’s clear that they are business owners with a strong social conscience. Rankin Construction, Mountainview Homes and Walker Industries are three companies that literally and figuratively have helped build Niagara. There’s a theatre, cancer centre, YMCA, Technology Centre and other buildings that bear the name of either these companies or the men or families that own them. But there is so much more to what they contribute to this society. Much of it goes unnoticed by the general public but certainly not by the charities and families they’ve helped along the way. “My wife and I did what I would call simply a good deed for a family nearly 40 years ago,” said a humble Tom Rankin. Recently the granddaughter of that family invited Tom and his wife to her wedding. During the speeches the family said they wouldn’t be here today if not for the generousity of Tom and Elizabeth Rankin. “It made our day and almost brought tears to my eyes,” Rankin said. Rankin credits his growing up in a small town in Nova Scotia and good parents for instilling that philanthropic spirit in him. “It was that philosophy to always be willing to help your neighbours,” he explained. Rankin says they are inundated with funding requests and although they can’t help everyone they do what they can. He’s proud his employees have also taken on the responsibility of giving back. They volunteer at events like the cancer run, which Rankin is quick to point out is the success that it is because of the incredible hard work of Mary Ann Edwards. Like the Rankin’s, the Walker family and their company Walker Industries, also has a track record of giving often and giving big in Niagara. 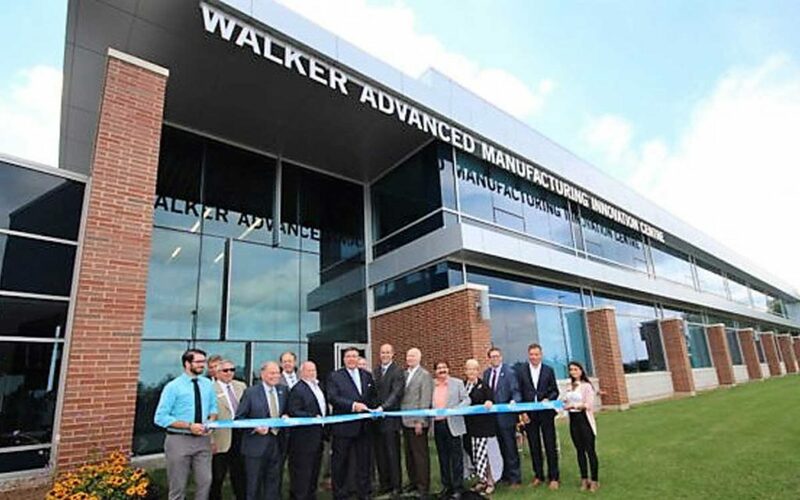 There are very few local companies that can step up and make a lead gift to a capital campaign for example and the Walker’s have done it over and over. But it’s not just about the big dollars and having a building named after you. Betty-Lou Souter, CEO of Community Care, St. Catharines and Thorold, recalls a time when the shelves were essentially bare and times were desperate. The Walker brothers, John and Norris, with their own personal credit cards went out and bought everything Community Care needed to replenish the shelves. “They arrived wearing Santa hats and singing We Wish You a Merry Christmas and we all cried,” recalls Souter. “The company continues to support us and to this day we all still talk about that time. It was good for us and good for their employees to see what a difference they made,” Souter said. “We would not be here without them.” Souter said Walker Industries, Rankin and Mountainview are all incredible supporters in their own respective ways. Pam Shanks who heads up fundraising at Brock University said the Walker family is their most prominent supporter. She cited the Walker Complex and Marilyn I. Walker School of Fine and Performing Arts as just two examples of the family’s support. She also noted that the new front entrance to the University will be the Rankin Family Pavilion and that Mountainview Homes’ support dates back to 1989 when they were lead donors to the construction of Taro Hall which housed the business school. Shanks also noted that out of the $94 million raised in their most recent capital campaign, primarily all major donors were local. Mountainview has also supported individual athletes who are chasing their goals as either future Olympians or professionals. Basciano acknowledged his industry colleagues, Tom Rankin and the Walker family for leading by example. “I commend both the Rankins and the Walkers for showing tremendous leadership. One thing we share is the hope that people will follow our lead no matter how much they are able to give,” he said. While Niagara is fortunate to have so many business leaders who step up time and again to help their communities, these three companies have always been rock solid with their generousity and are truly in a class of their own. Provincial Politics	Buck a Beer is Back!